One of the largest lots in the community! 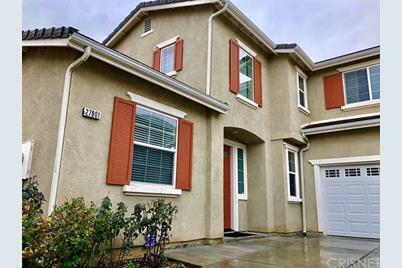 This amazing Summer Grove home in Valencia's Creekside Community features a floor-plan that offers an open and airy feeling with over 2000 sqft of living space, 3 bedrooms plus office/den and 3 baths. Warm entry with separate living room and formal dining room or a family room option. Open concept kitchen with upgraded granite counters, stainless steel appliances and breakfast bar, with beautiful oak cabinets. Opens up to living room with stone fireplace. Upgraded tile flooring, carpet, designer paint, and shutters. Upstairs are 3 large bedrooms with every room having a ceiling fan, laminate flooring, and large closets. The master bath has a soaking tub, separate shower, dual sinks, private commode and huge space for walk-in closet. All bathrooms are fully upgraded! Direct access to garage with custom shelving. Large backyard wraps around home, one of the largest backyards in Summer Grove! No rear neighbors! Features Patio, Spa, and plenty of play area and great for entertaining! The community amenities include a pool, separate spa, playgrounds and nice green open spaces and are adjacent to Valencia's miles of paseos and bike paths. This highly sought after location won't last long! 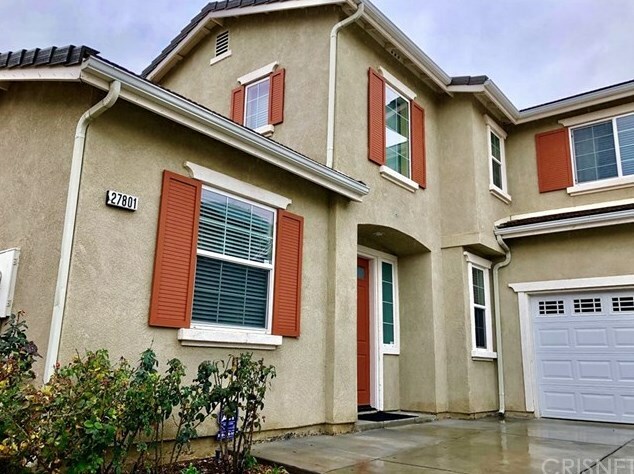 27801 Summer Grove Place, Valencia, CA 91354 (MLS# SR19034065) is a Single Family property that was sold at $570,000 on April 17, 2019. Want to learn more about 27801 Summer Grove Place? 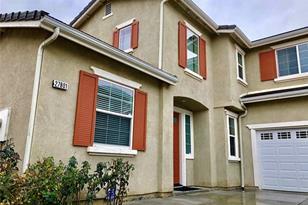 Do you have questions about finding other Single Family real estate for sale in Valencia Westridge? You can browse all Valencia Westridge real estate or contact a Coldwell Banker agent to request more information.